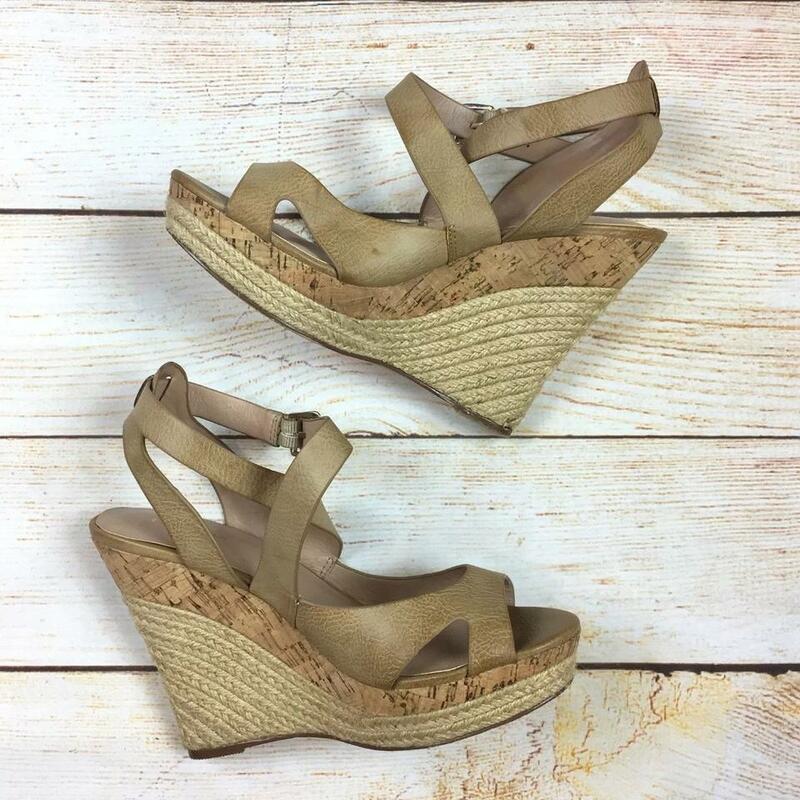 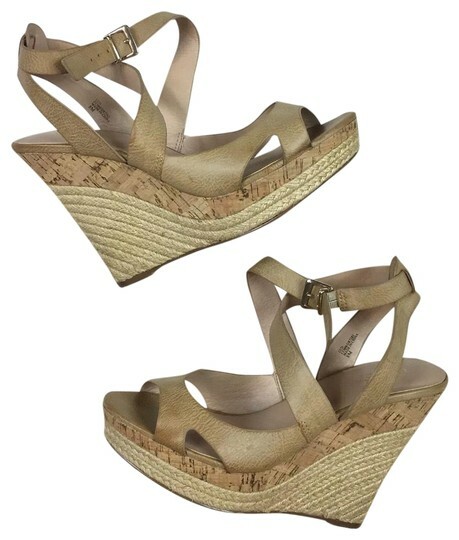 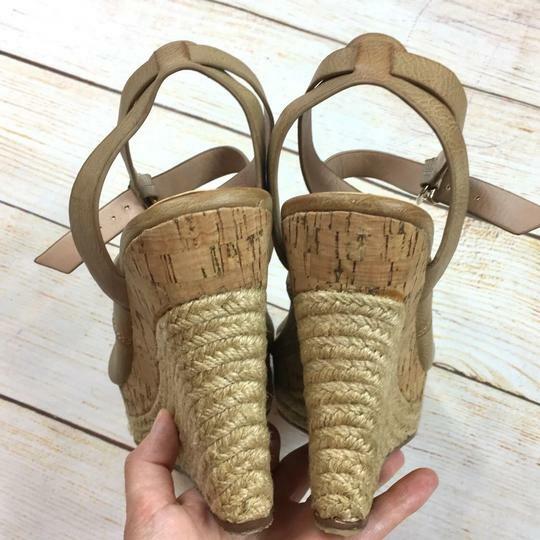 Charles by Charles David neutral beige/tan leather sandals with cork and espadrille wedge heel. 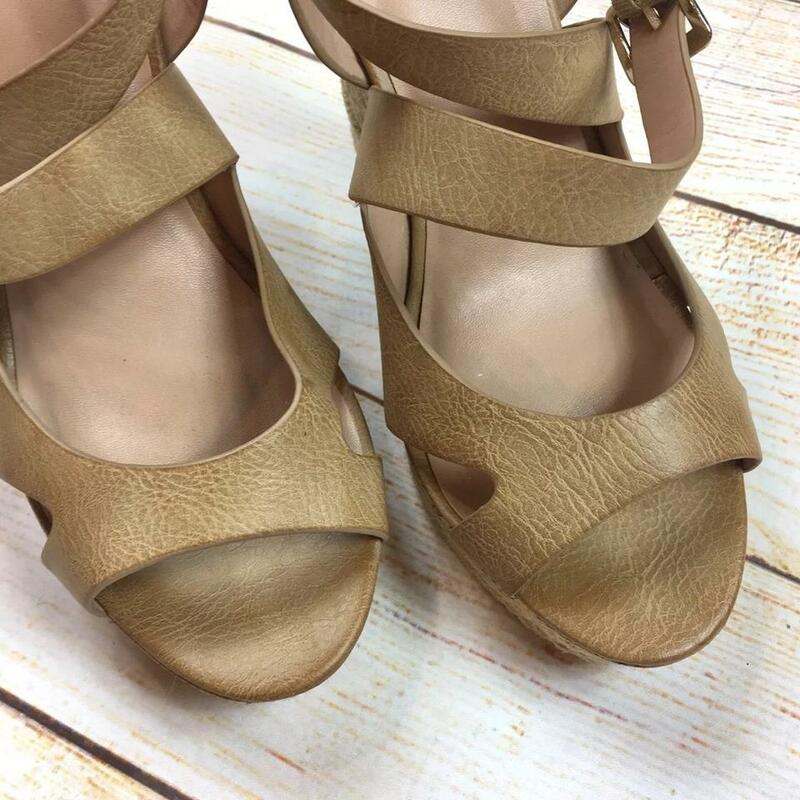 Crisscross straps and buckle closure. 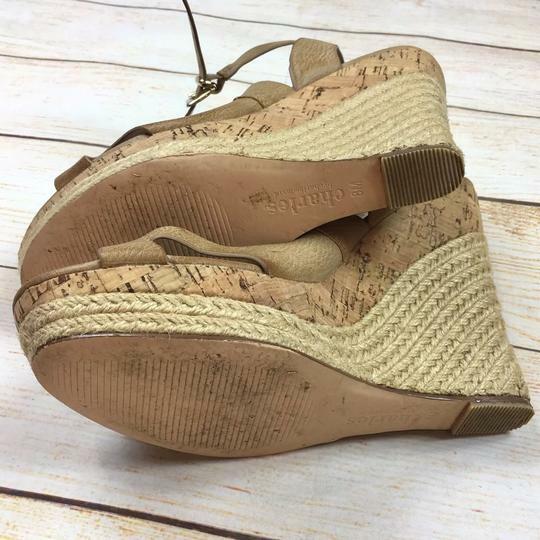 5.25” wedge with 1.25” platform. 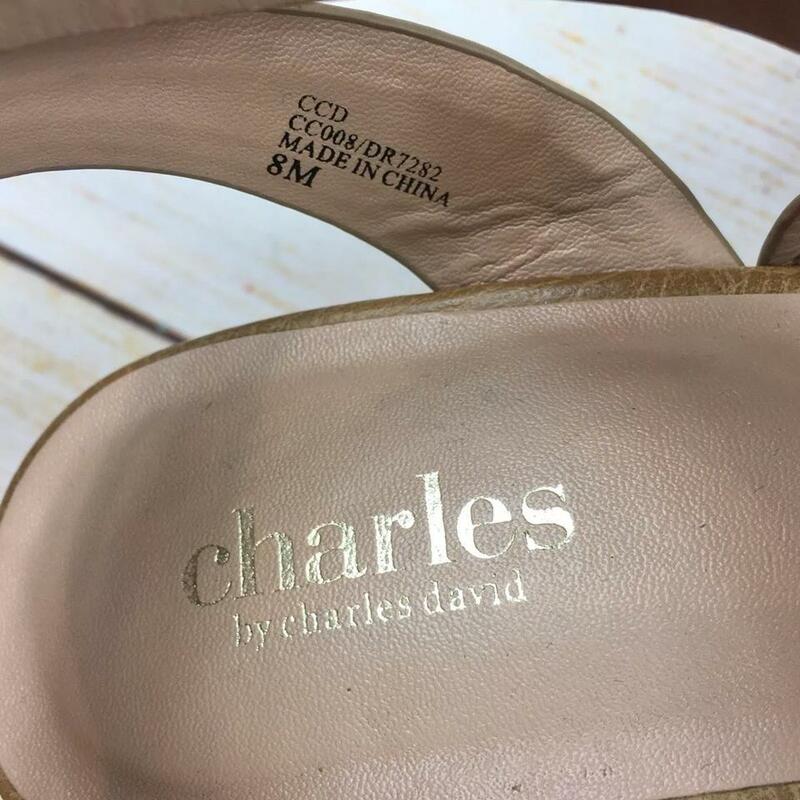 Cushioned insole for comfort. Excellent preowned condition, hardly worn.